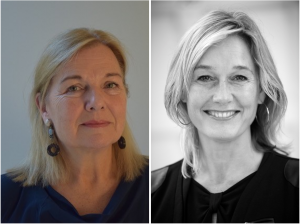 José Tijssen and Annemieke Nol, two highly experienced communication professionals, will strengthen the Hill+Knowlton Strategies team in the Netherlands. As Strategy Directors, they will each make an important contribution to the further development of Hill+Knowlton as the advisory firm for strategic communication issues. José Tijssen is joining the management of Hill+Knowlton Strategies and Annemieke Nol the Agency Council. José Tijssen joins Hill+Knowlton Strategies as Board Director and Strategy Director in the field of M&A, IPOs, financial communication, crisis & change management. She has a rich career in communications and investor relations and has worked successively at ABN AMRO, Wolters Kluwer, KPN, ING and was Managing Director of Citigate/CFF Communications. She was twice voted Best PR Advisor at the Dutch M&A awards. Most recently she was responsible for the corporate communication and public affairs of Mediq. Annemieke Nol starts at Hill+Knowlton in January in the role of Strategy Director in the field of Corporate & Brand Reputation, Creative and Digital. In this role she will also help link the Dutch team to its sister companies within the WPP network, with which Hill+Knowlton will take up residence in a new location on the Amstel early next year. Annemieke was successful in the development of PR agencies as Managing Partner of DLV PR, as well as Deputy General Manager and, ultimately, General Manager of Edelman Benelux. She developed strategic communication campaigns for, among others, Shell, Heineken, Starbucks and Microsoft. In her last position she worked as Director Global Public Affairs and CSR at AkzoNobel. Nol will also support the development of talent and business within Hill+Knowlton’s international network. “In Annemieke and José we get two top players in the field of corporate, brand and financial communication. We are extremely proud that they have chosen to join our team to further strengthen our position in boardroom consultancy. 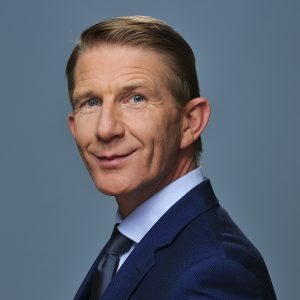 Their backgrounds as executives in successful agencies is of course of enormous added value and they will therefore, together with our Chairman Ingo Heijnen, be closely involved in the strategy of the company through our Agency Council,” says Jack de Vries, Managing Director of Hill + Knowlton Strategies.